Tara Pradhan has just been selected for a job in Hyderabad. She comes from a simple family in rural Chhattisgarh. Her father is a farmer and no one in her family has ever never been in a job. Tara had a dream of being an independent working woman. For this she has given a lot of effort. And now she is happy that her efforts have been rewarded. She is excited about the job and is eager to join. She is beaming with enthusiasm about her new life and has a lot of plans for her future. 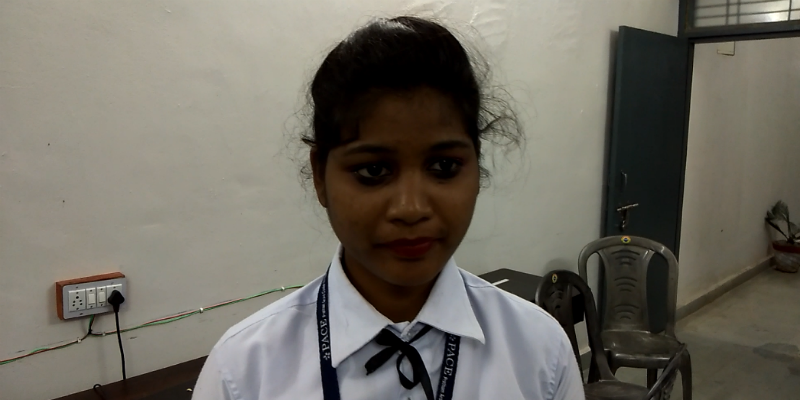 Tara’s dreams could be fulfilled with the help of the Livelihood College at Jashpur. When Tara learnt about the Livelihood College in Jashpur she decided to see what it has to offer. “There were various courses and I liked the housekeeping course. I started attending classes and I learnt a lot of things. They teach us how to professionally manage housekeeping work and to talk to people. It has changed my personality and now I have much more confidence in myself.” She says. Tara’s village is 50 kilometres away from the Livelihood College but since the college is a fully residential college, so the students like Tara do not have to worry about travel. The students also get the study materials free of cost. The courses at the Livelihood College are designed strictly according to industry needs. It is done in a way to ensure employability of the trainees in various trades. The aim of the Livelihood College is to enable the youths to benefit from the emerging trends in the corporate sector. One of the prime objectives is to turn Chhattisgarh into a hub of skilled manpower. “I don’t want to take money from home. I want to give them. My dream is to be an independent woman who does not take anything form anyone. I am the first person in my family to get a job though others in my family earn too.” Tara talks about her dreams and inspirations. The government of India has emphasised on the need of skill development in order to turn India into a global supplier of skilled manpower. This vision is reflected in the concept of Livelihood College. The Chhattisgarh government’s dream of turning Chhattisgarh into India’s supplier of skilled manpower has been gradually fulfilled through the initiative called Livelihood College. Every district of Chhattisgarh has at least one Livelihood College where they offer various courses. The Livelihood College in Jashpur has decentralised the concept and has set up another campus of the college and it has been very beneficial in providing training to the youths who find it difficult to get training in the main campus for various reason. The Livelihood College Jashpur has been producing skilled manpower for various sectors. These youths have found employment in and outside Chhattisgarh. These youths have inspired others to pursue the same path too. Many youths are now interested in taking up these courses and secure their futures.